GROW through the Experience of Making Music- and have FUN doing it! Littlepalooza 2018 was a BLAST! I made a giant working floor piano. 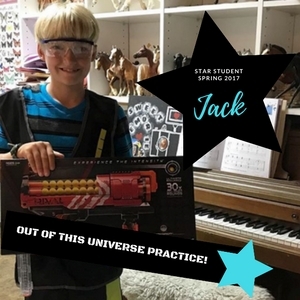 Jack, rockin' his grand practice prize from Spring 2017! Talon learning letter names of notes with colorful off-bench activities! Hailey, showing off newly learned blues improv skills! "Christina is the best–professional, talented, and very motivating. We love her teaching style and dedication and our daughter is so excited every time she gets to have lessons with Ms. Christina. We would highly recommend her! Thanks Christina." 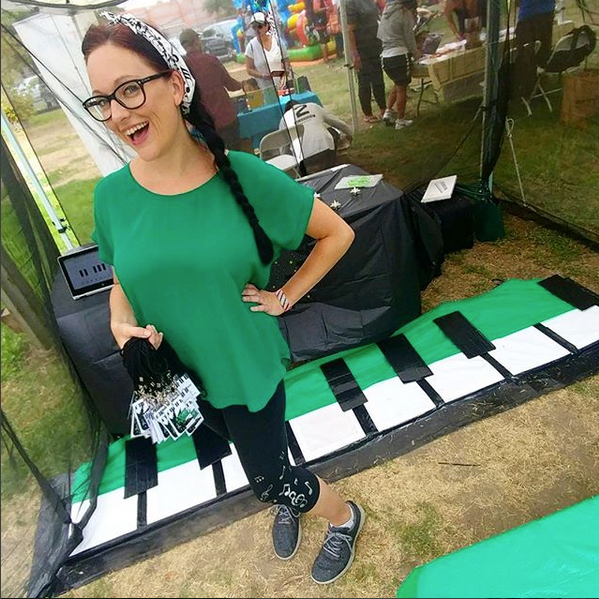 Looking for a cool, experienced piano teacher in Long Beach for kids and adults alike? You found her! I am a piano teacher with a music degree from Chapman University, and over 15 years of experience, but I am NOT old fashioned. My experience as both a classical musician and my interest in many other genres of music allows me to blend traditional classical piano lessons with a modern, fresh approach. 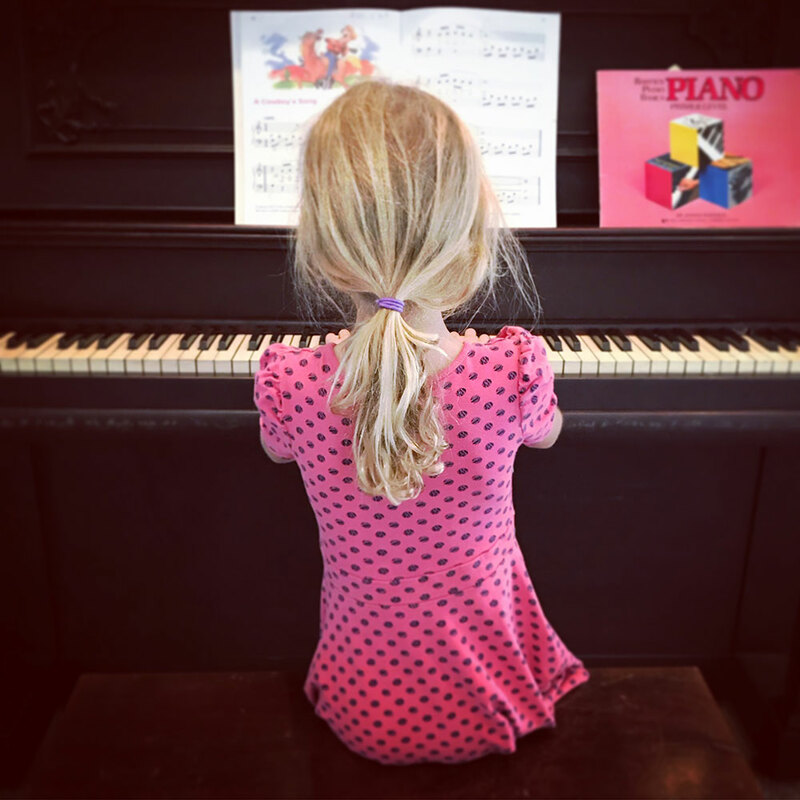 In piano lessons, we explore, write, create, question, and research TOGETHER as piano lesson partners! You can expect me to work closely to develop personalized and individualized lesson plans to help gain discipline, grow self esteem, and push past boundaries you never thought you could cross. All that you need to start your journey as a musician is a good attitude and an appropriate piano or keyboard. Enjoy an Out of this World Student Performance! Piano Lessons are for Everyone! Ages 4+ are accepted into my studio (mature 3 year olds will be considered). I am comfortable teaching children with special needs. Regular, Private Lessons Make The Best Players! Your appointment is reserved for you and you only! Piano lessons happen once per week - scheduled on the same day and time. The real work happens after you leave your piano lesson – students learn to to take initiative, make goals, and practice daily on their own. Performance Opportunities are offered throughout the school year. All students taking piano lessons with me are encouraged to participate. I help out with stage fright! From PianoMaestro to Rhythm Cat, to dominoes or card games - part of your piano lesson will often include appropriate music learning games. Tuition for piano lessons is a flat rate. Payment can be made via Check, Cash, or Credit Card. Students of all ages and levels gain self esteem and discipline through personalized piano lessons. 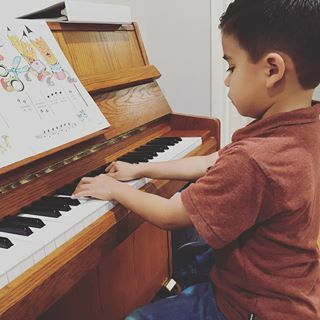 Piano lessons help you learn to be inquisitive and open to explore new styles and techniques. When the music you are learning in piano lessons is brought to life, it fosters a long term love of music. They learn music they LOVE! We find ways to learn music theory that aren't boring! They are involved in their own learning process. Students learn to take responsibility and ownership of their progress. 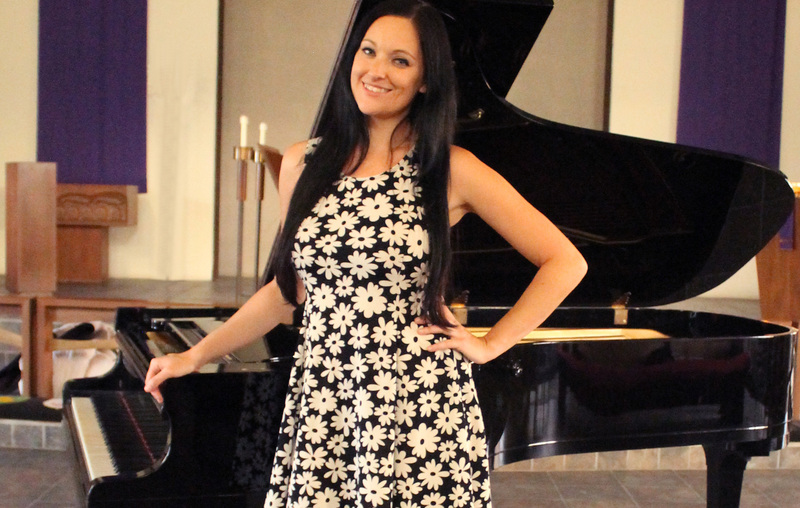 "I started piano with Christina long after most people quit! Her patience, knowledge, and “little tricks” saw me through over 5 years. I ended up enjoying the time spent at the piano, and still do, and I learned a lot about music and myself. I have seen her work with kids and know she is always patient and understanding. Go Christina!" "Christina has been giving piano lessons to all three of my boys for almost 10 years. She has done such an amazing job with working three very different personalities in respects to taking piano lessons. She has always taken the time to listen and connect with them, not only as a teacher, but also as a friend. 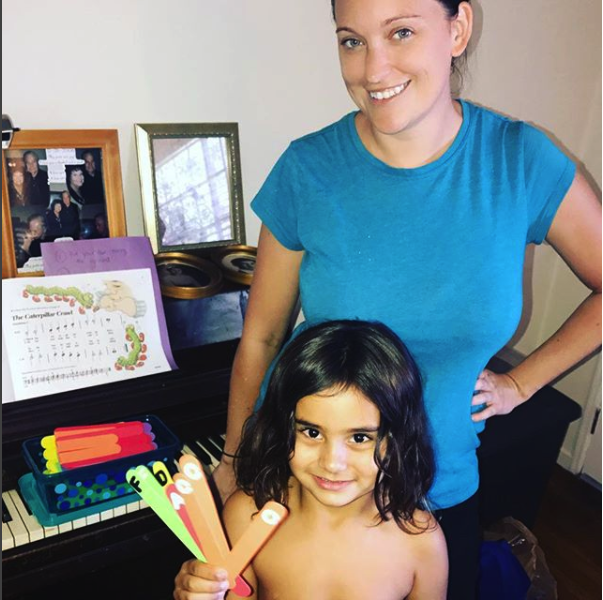 Christina has a wonderful teaching style in the sense that she meets the kids where they are so they are team working to learn piano. My boys love and respect Christina."